Daile Kaplan talks about collecting 19th and 20th century photographs and photobooks. Daile is Vice President and Director of Photographs at Swann Auction Galleries in New York. She appears regularly as a photograph appraiser on the Antiques Roadshow, and is also featured in a series of short videos on fine photographs for Swann Galleries. Daile can be contacted at dkaplan@swanngalleries.com or via her website, www.popphotographica.com, which features items from her personal collection of pop photographica. Today, books illustrated with photographs are garnering a lot of attention. In the past few years, there have been a number of excellent coffee table books about the genre by Martin Parr, Gerry Badger, and Andrew Roth. In addition, there are some very serious celebrity photobook collectors who have brought attention to the field. An underappreciated area of collecting for many years, it’s now firmly on the map. In addition to photographic literature, Swann focuses on vintage and modern 19th- and 20th-century photographic prints. As artists transition to new digital technologies and examples of those prints appear in galleries, they are offered at auction. However, we are not yet selling many digital prints. We specialize in what are referred to as wet darkroom prints. Even though photography is incredibly popular today, in the 19th century and even into the 1960s it was ridiculed as an art form. Needless to say, this didn’t stop artists from exploring photography as a form of self-expression. 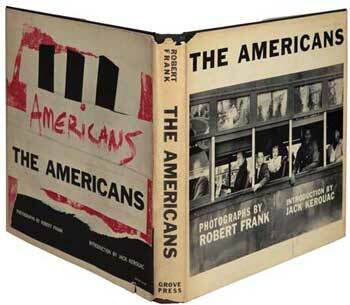 In the 1950s, important photographers like Robert Frank and William Klein were very focused on working with the book as a creative art form. After all, there were no commercial galleries or museums with regular photography programs, so we’re looking at a field where creative figures interested in making photographs were using the book or album to promote their work. 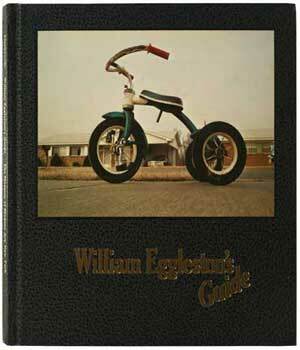 Photobooks are a great way for someone who’s interested in photography to begin collecting. Books are more affordable than vintage or modern prints, and they’re often designed with artistic integrity, making them very beautiful objects. If a photographer is successful and has a strong gallery representation, a trade monograph, which is published in thousands of copies, can sell out very quickly. Books may also be produced in a deluxe edition (that is, issued with an original signed photograph). Such examples tend to be more expensive and the edition size is smaller, say 50 to 75 copies. At Swann, we conduct four sales a year, and two of those feature photographic books. 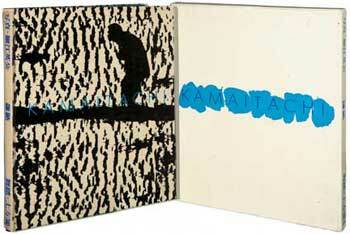 Collectors Weekly: Are there certain photobooks and artists that collectors look for? Kaplan: Today the marketplace reflects a representation of more diverse styles and idioms. An artist like Paul Graham, a British photographer who is noted for his pioneering color documentary-style photography in the early ’80s, is accepted as a fine art photographer. A noted fashion photographer like Richard Avedon, whose pictures regularly appeared in glamour magazines, sees his work is offered in fine art galleries and at auction. Categories that used to segregate the different areas of photography – fashion, art, documentary, press photography, scientific documentation, social record – are falling away. We’re seeing less and less separation between what were once thought of as commercial photography, documentary photography, photojournalism, and fine art photography. Today they’re all considered equally important, and we sell works that would fall into any of those categories. Kaplan: I’ve written two books about Lewis Hine, a pioneer of social documentary photography in the early 20th century who photographed child labor, immigrants, and the First World War. Photographers associated with the Farm Security Administration (FSA) in the 1930s – Ben Shahn, Dorothea Lange, Walker Evans – are other major talents. They worked for the federal government, photographing conditions during the Depression so that all Americans could be aware of the devastation in the heartland. In the 1960s, Danny Lyon, James Kerales, Charles Moore, Bob Adelman, and Ernest Withers were active in the Civil Rights movement. In terms of other 20th Century subjects, you have photographers like W. Eugene Smith, who went to Haiti to photograph asylum patients and traveled to Japan to photograph environmental conditions in Minamata. 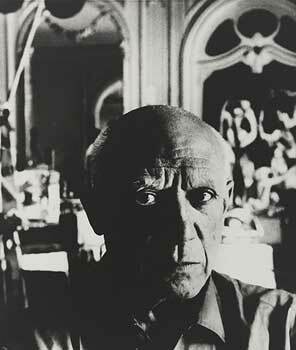 Collectors are interested in celebrity photographs, male nudes, female nudes, architecture, and the Western landscape. Photographers like Ansel Adams, who was an early environmentalist, really made people aware of the fragility and beauty of America’s parks. Kaplan: Technique. Most 19th-century photographers worked with cumbersome large-format cameras that utilized glass negatives and produced albumen, or salted paper prints, which have a very distinctive patina to them. The first photographs are daguerreotypes, which are unique or one-of-a-kind photographs and are often referred to as hand or cased images. Other examples of cased images are ambrotypes and tintypes. 20th-century photographs were for the most part monochromatic, utilizing the gelatin silver, or black and white, print. 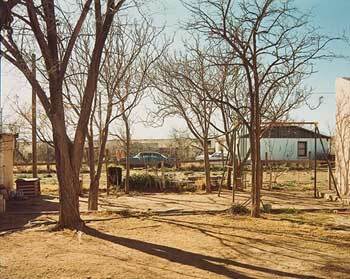 In the 1960s and ’70s, a new generation of photographers, including William Eggleston, Joel Sternfeld, and Stephen Shore, began to explore color as a medium for their photographs. Works by Paul Outerbridge, Jr., a major fashion and glamour photographer in the 1930s, have also been widely collected. He employed the color carbro technique, a very stable color format. In terms of appearance, those are very obvious clues, and in terms of content, I don’t think anyone could mistake a 20th-century street photograph for a 19th-century street photograph. I think most people start with 20th-century because they start with what’s familiar to them. Kaplan: Swann doesn’t acquire photographs or photobooks but acts an as an agent for consignors who may be private or institutional clients. We select and catalog the works, estimate the property, and promote each of the auctions. So there are a lot of considerations, and it can be complex. Obviously, if a photographer was known to have signed his or her prints, you want to find those examples. Since there wasn’t an international marketplace for photography until the 1970s, vintage prints were gifted by artists to friends and family members. In the 1970s, market conditions dictated that photographers be less casual. 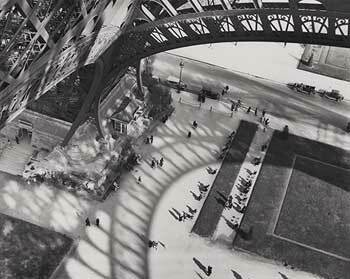 Kaplan: The most popular is what was called the gelatin silver print, your black and white photograph. This was a very stable process, believed to last at least 100 years, that doesn’t have the fragility associated with some of the color techniques. If a gelatin silver print is well maintained – that is, not displayed by a window where artificial light is going to damage it or in an attic or bathroom where there’s too much moisture or changes in temperature – it will have a good, long lifespan. Kaplan: Sure. The important point is to frame your photographs archivally. Work with a professional framer who will use the appropriate materials. It’s best to use Plexiglass and make sure the frame is taped on the back to ensure that no dirt or pollutants migrate into the picture frame. Nielsen Bainbridge is a company that has developed state-of-the-art mounts, mattes, and wooden frames. Kaplan: I collect what I call pop photographica, an area I’ve pioneered consisting of three-dimensional decorative and functional objects highlighted with photographs. It’s material that relates to popular culture, folk art, African American art, and decorative arts. It casts a very wide net. I just fell in love with these wonderful objects a long time ago. I’ve curated shows about it and have been collecting for about 20 years. 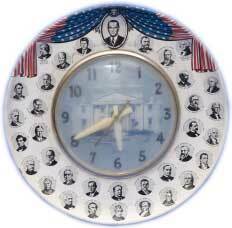 I have a very large collection – over a thousand objects – and I have an educational website devoted to this material. Many of the works are on display in my studio, and I have collector groups, college students, and graduate students come to see this material, which represents a different history of photography. Instead of emphasizing the framed photograph on the wall, pop photographica focuses on freestanding three-dimensional objects that you live with – a tintype photograph on a chair or a family portrait on your bracelet or earrings. It demonstrates how photography converges with popular culture. Kaplan: I look at the condition of a photograph to see how well it’s been cared for, then content, signature, and paper stock. What is the image like? Is it in the right format? Is it the right paper stock for the period? Photography was invented in 1839 and took the Western world by storm, but due to technological and cultural constraints, it didn’t appear in Asia and Africa until the 1860s to 1880s. We appraise photos from around the world – America, Europe, and Asia. Swann sells albums of Egyptian and North African photographs, but they’re largely from the 1870s through the 1890s. There’s a sophisticated market for hand-tinted Japanese photographs from the 1880s and 1890s. Pictures of Australia and New Zealand are also desirable, as well as those from subcontinental India. Russian and Chinese material is very rare. 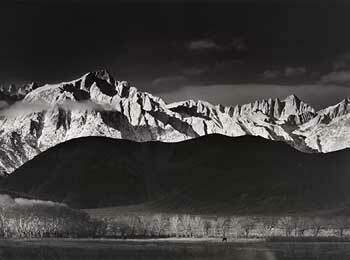 Kaplan: “Moonrise Over Hernandez” by Ansel Adams is one of the most popular photographs that we see at auction. This print is available in different formats or sizes that were printed during different periods in Adams’ career. In fact, a census indicates Adams made almost 2,000 copies of this photograph. However, whenever the image appears at auction, there’s competitive bidding on the lot. With regard to buyers of 19th century American landscape photographs, William Henry Jackson photographed Yellowstone and Carleton Watkins photographed Yosemite. We have collectors that just really love this material. There have been numerous records for important 19th-century photographs at auction. The French photographer Gustav Le Gray, who created gorgeous marine landscapes in the south of France, have sold for more than $700,000. Photographs by Carleton Watkins have realized $500,000. Daguerrotypes have sold for $975,000. Most collectors don’t start by buying 19th-century photography, but ultimately they do recognize the beauty of it.